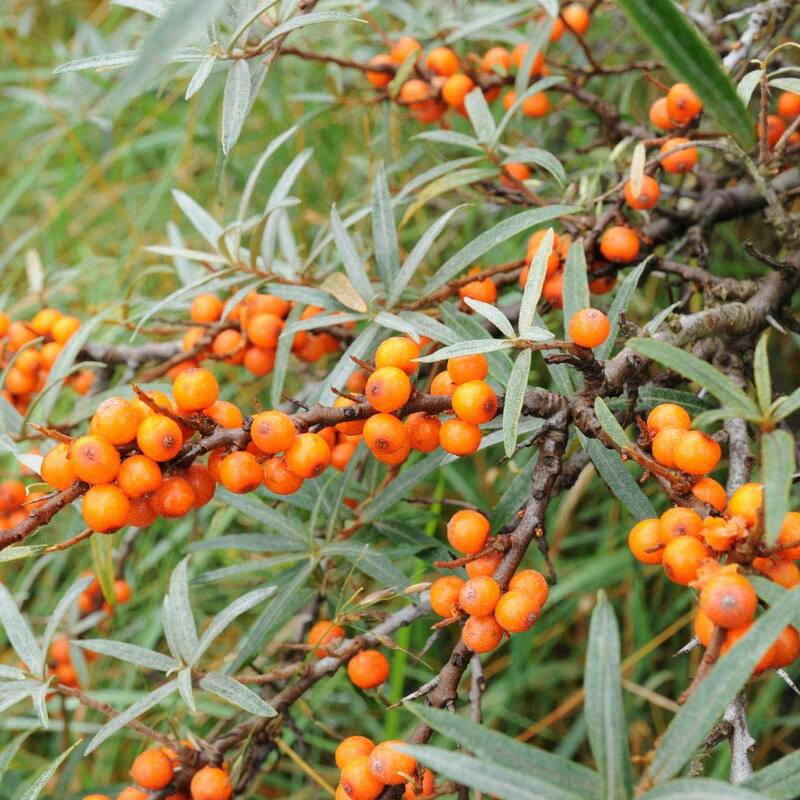 Sea Buckthorn is a UK native hedgerow and one of the components in our Native Coastal Hedging Packs which feature species ideal for coastal locations. 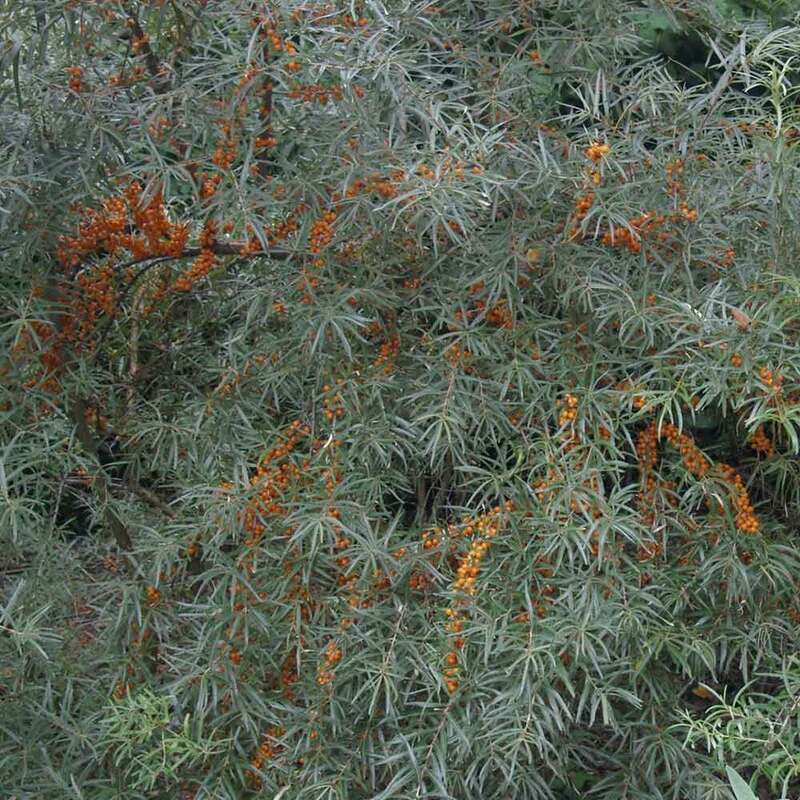 It is noted for its plentiful edible orange berries which are very high in vitamins and antioxidents (use in pies, preserves, sauces and juices) and attractive delicate silvery foliage. For a good supply of berries, it needs to be in a sunny situation, see more edible choices here. It's very useful in wet sites (it does not like dry soil) and can fix nitrogen in the soil so it's helpful in improving poor soils. 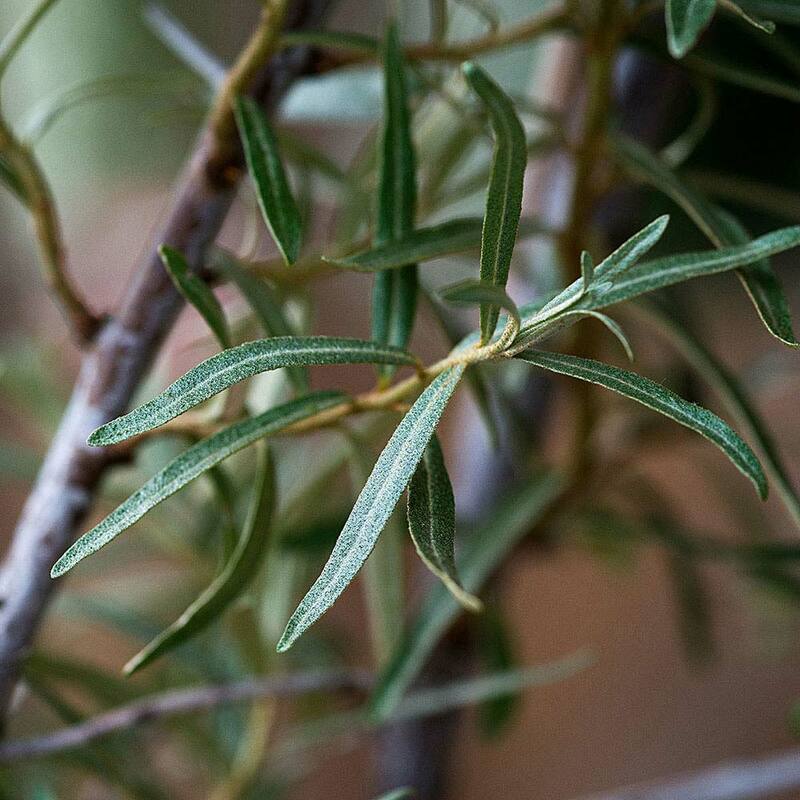 The leaves are long and narrow and intially silvery on both upper and undersides, but turning sage green with maturity. 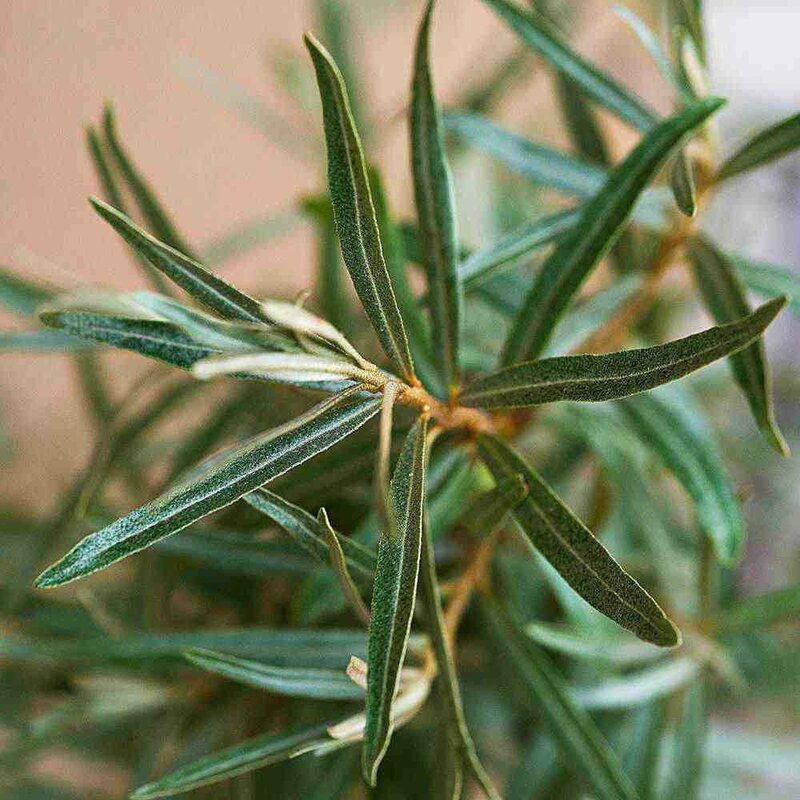 This plant spreads quickly, both by sucker and seed, so it needs a little bit of maintenance. 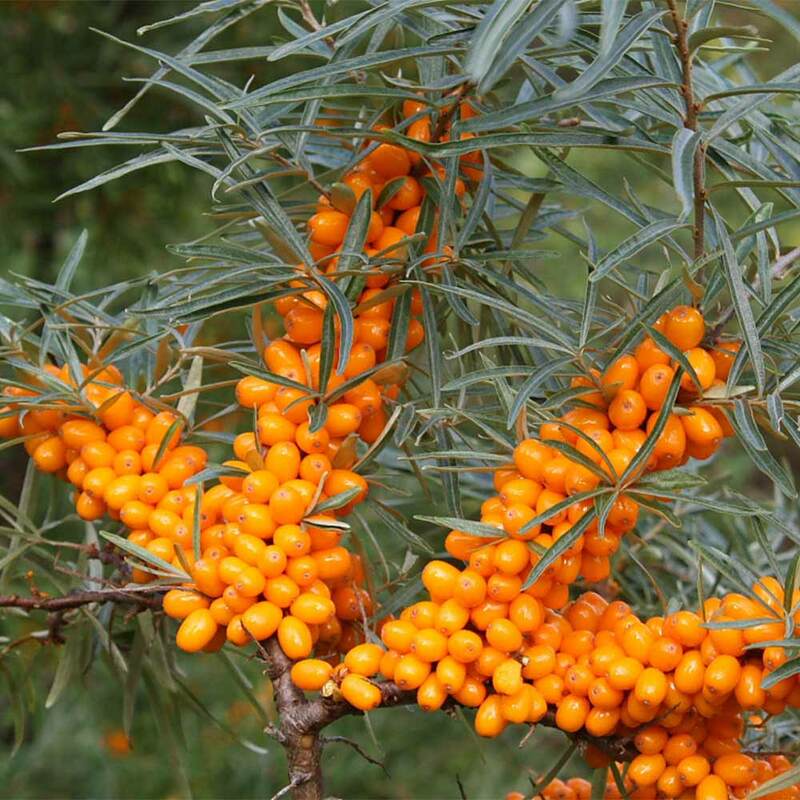 According to Greek legend, Sea Buckthorn was the favourite food of Pegasus, the winged horse and today, many horse supplements contain berries or leaves from this plant, thought to improve equine health. 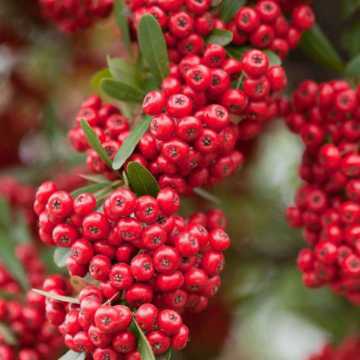 The berries are edible and full of Vitamin C (but can have a purging effect - you were warned!) Oil from the berries is frequently used in skin care products. It was used by Russian astronauts to protect against sun burn and to treat victims of the Chernobyl disaster. All in all, it's worth its weight in silver! 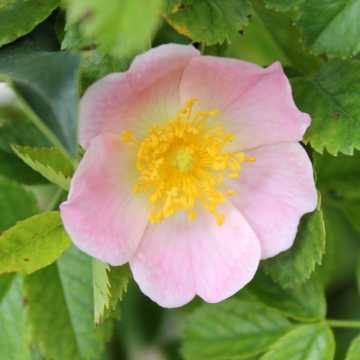 Bare root plants are only available from november to late April/early May.  See also our range of flowering hedge plants and our intruder proof hedging plants.